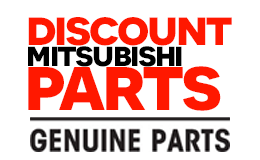 Here at Discount Mitsubishi Parts, we strive to make it as easy for you as possible to order your make replacement parts. Our top priority is to provide Mitsubishi owners with the right genuine 2011 Mitsubishi Lancer ES GAS 2.0 L 4 Transaxle Automatic CVT N/R parts and accessories for their Mitsubishi vehicle at the lowest prices online. No matter what model Mitsubishi you have, we can supply you with parts and accessories your vehicle needs at an incredible price.